Can we have a moment of silence for all the scallops lost on Hell’s Kitchen? 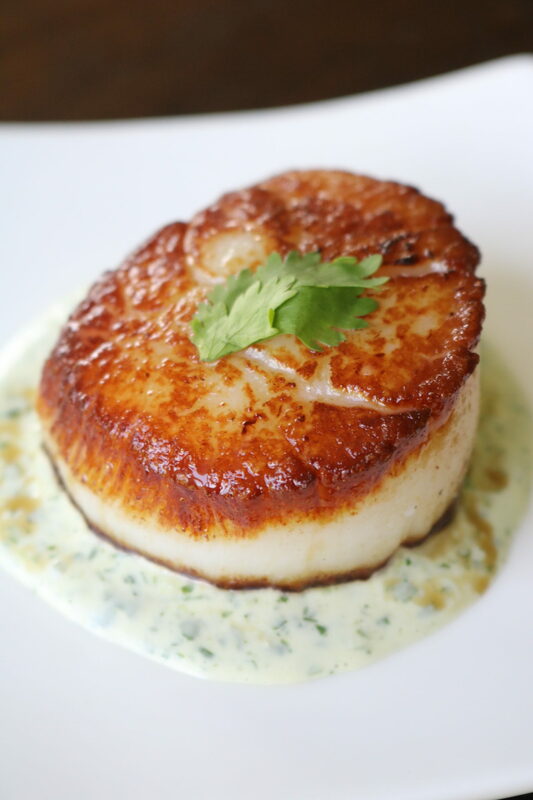 Thank you… now go buy a pound and try our Seared Scallops with Cilantro Cream tonight, and you can be the judge!!! Add mayonnaise, half and half, lime juice, garlic, and cilantro to a food processor and like for 45 seconds or until blended. Taste for seasoning and refrigerate until ready for use. Remove attached abductor muscle from scallops and gently rinse. Thoroughly dry each scallop with a paper towel. Preheat a large cast iron skillet to medium high with 2 tbsp olive oil. Sear scallops until deep golden brown approximately 1 1/2 -2 minutes on each side depending on the size of the scallops. Drizzle each scallop with cilantro sauce and garnish with lime zest. Serve immediately. Enjoy!